It was a proud moment for Steve and myself to meet the Mayor of Manchester, Andy Burnham and the Mayor of Salford, Paul Dennett at a VIP visit to the Little Woolden Moss Project ran by the Lancashire Wildlife Trust. The meeting started at the quirky and recently renovated Irlam train station, and other guests included Alex Ganotis, head of Stockport Council, Andrew Western, Head of Trafford Council, Derek Antrobus, lead member for Planning and Sustainable Development and Chris Casey, managing director of Casey Companies. 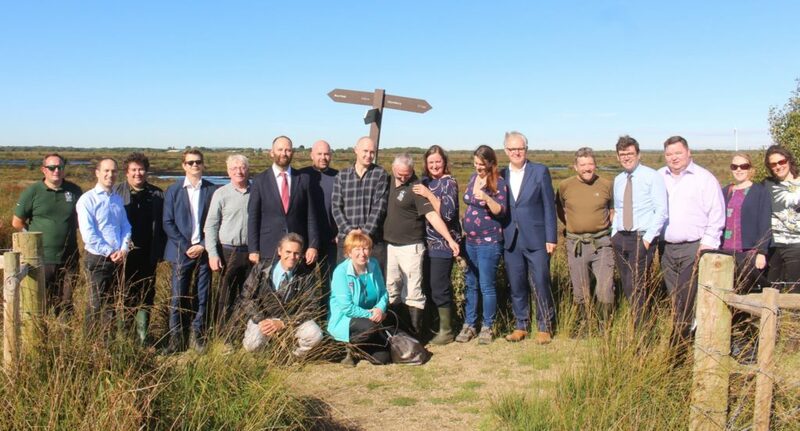 The visit was arranged to show these influential people the work that is getting done in and around Greater Manchester to restore these natural habitats and create carbon sinks. 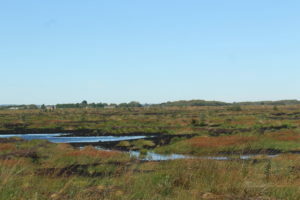 A great deal of effort is being made behind the scenes to create a network of habitats that are interconnected, allowing wildlife to freely move between the Greenheart areas around Wigan and the mosslands around Manchester. On top of this, the Carbon Landscape Project have plans to develop cycle paths to allow people to navigate these areas more easily and open the wild places up to the public. EcoSpeed are very proud to be a major catalyst in all of this. We have donated tens of thousands of pounds to these projects, which not only funds these sites directly, but further enables the LWT to unlock more funding from the Government and other sources. After listening about how our courier service is helping conservation in Manchester, Andy Burnham was keen to know how other businesses could be involved in local conservation projects similar to this. These ambitious landscape restorations are driven by the prospect of reintroducing iconic species such as the Large Heath Butterfly, locally know as the Manchester Argus Butterfly, that has been lost due to habitat loss. Creating habitat for keystone species like this allows has over arching positive effects for other wildlife that inhabits the area, making Greater Manchester a better place to be for both people and wildlife.